Truckers who operate over long distances have to do so with safety and security in mind. Therefore, it is imperative that if you are behind the wheel, you develop a plan. It should address vehicle safety, personal safety and potential driving hazards. What are some of the risks you face while driving? How can you prevent them from happening? Commercial trucking takes commitment and agility. As the vehicle operator, a considerable responsibility falls in your lap. Always do what you can to safeguard yourself. Consider these risks and how to avoid them. Long-haul truckers travel long distances. That means spending hours on the road. Likewise, you'll need to be awake, alert and ready to respond at a moment's notice. You never know when you might face a sudden hazard, after all. To keep yourself from becoming overworked, remember the law, first of all. Most truckers have maximum working periods. You must stop working upon reaching this limit. These regulations exist to reduce the risk of trucking accidents. Even so, you might still feel pressure to work longer, or to go further in the time you do have. Neither are good ideas. You might find yourself speeding to try to cover as much ground as possible. You might go hours without a break, giving yourself a risk of falling asleep behind the wheel. Take periodic rest periods throughout your drive. Generally, most drivers need a break about every two hours. Eat and drink a healthy, balanced diet while working. Don't indulge in sugared drinks, fast food or snacks. Refrain from smoking and do not drink while on the job. When it is time to stop driving, stop driving. You will likely know when regulations require stops. Use the rest period to rest. It is that simple. Sleep, stretch your legs or relax. All truckers will face accident hazards at all times. That's just a part of driving. Yet, you can take steps to prevent accidents if you operate safely. Bottom line, obey the rules of the road and your training at all times. Remember, in some areas, truckers have operating restrictions not imposed on other drivers. Keep all your licensing and certification active. Certain operators will face check rides or re-certifications over time. Remember your personal needs. If you feel tired, or surpass your operating limit, stop and rest. Keep your truck in good working order. Ensure it receives regular maintenance and service. Pay particular attention to your tire health. Most commercial trucks require frequent tire changes depending on their load factors. If you drive on damaged tires, you risk losing control, or experiencing flats or blowouts. Keep in mind, even if you have trucking insurance, your policy won’t cover normal maintenance. If you have a wreck, experience theft or a similar loss, your coverage will come into play, however. Ask your agent to include coverage elements like collision and comprehensive protection. They'll safeguard you in case your truck sustains damage. Furthermore, always carry liability insurance on your policy. It will insure you in case you cause an accident that causes injuries or property damage to others. Most states require this coverage for all drivers, including truckers. It'll help you repay others for their losses. From a commercial standpoint, this protection will prove instrumental towards your business security. Your truck is an expensive vehicle. Furthermore, the cargo within only adds to that worth. Therefore, appropriate security techniques will prove valuable. Secure your cargo by locking it in and arming all security devices. Generally, it is never a good idea to open the trailer during the transport. In certain cases, this is even a violation of regulation. Load the cargo in an even manner. You'll need to create appropriate balance throughout the trailer. Take care to not place any hazardous or fragile materials in harm's way. Consider your truck to be as valuable as your house or personal car. Arm the cab's security system at all times. Secure all trailer locks and wheel blocks whenever stationary. Do not allow strangers into the cab or the trailer. Park only in secure truck stops and well-lighted areas. Use stops as a time to reinforce locks and tethers. If you keep personal items and luggage in the cab, hide these items away when you leave the vehicle. In most cases, your cab will offer a storage locker. 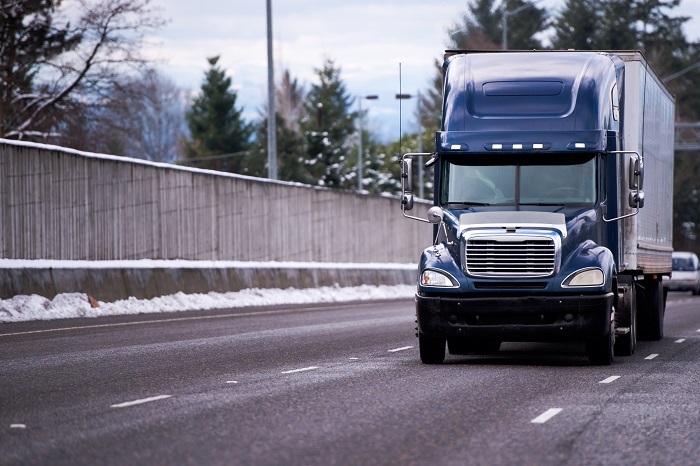 Most trucking insurance will offer cargo coverage. However, how much you carry might depend on your industry and specialty. Therefore, talk to your Georgia agent about what policy you need. Often, you'll want coverage to match the approximate value of your most expensive loads. At the end of the day, your truck's security will depend on how well you police yourself on the road. Therefore, take a holistic approach to safety. Look after yourself, your vehicle and your security risks. Those tasks will likely help you avoid costly problems.